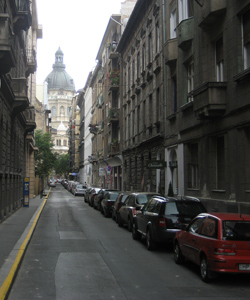 Reflections on the uncertain, post-Communist city. Everybody was excited about Eastern Europe after the Wall came down and during the transitions of the early 90s. Prague became the new spot for young American literary types and artists looking to recreate the ex-pat feel of the first half of the 20th century in Western Europe. And then, quickly and almost imperceptibly, the attention shifted, the fascination dried up.